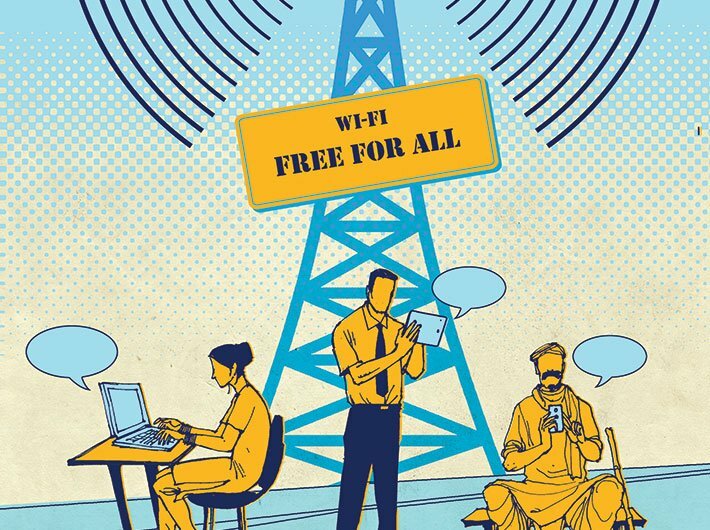 When the Aam Aadmi Party (AAP) promised free Wi-Fi for Delhi in its election manifesto, many got into the calculation mode – how much would it cost? Different figures emerged by different camps in the runup to the February 7 Delhi assembly election. The detractors of AAP put up calculations on social media that showed the cost would cross Rs 2,000 crore. That was before the election. Post-elections, an AAP MLA put up a figure of just '150-250 crore. Of course, by that time, more information was trickling in about the specifications (limitations of usage, coverage, etc.). I do not know if AAP had any vision behind building Wi-Fi capability. I am not even sure what they meant when they said free Wi-Fi in Delhi. I doubt if they themselves were clear. And, of course, it is difficult to believe that they actually did any economic value analysis of implementing Wi-Fi, when they promised Wi-Fi in the manifesto. But all that does not matter in the context of my discussion here. What matters to me is that out of hundreds of possible freebies, they chose a few like bijli, pani and Wi-Fi. One thing that even AAP’s political opponents have conceded – and the election results have proved that decisively – that AAP managed to read people’s minds well. Whether they could deliver or not, they said what people wanted to hear; they promised what people wanted: cheaper electricity, free water, protection from bribe culture (not the 2G-Coalgate-CWG types but hafta to the police type) and yes, free Wi-Fi. What it simply means is the feedback from its strong grassroots level organisation – to which AAP’s emphatic win is attributed – was to include Wi-Fi in the list of freebies, alongside bijli and pani. Former Nasscom chief Dewang Mehta’s quip of “roti, kapda, makaan aur bandwidth” has finally become a reality. Mehta was the first president of Nasscom, the IT software and services association, and is credited with successfully influencing the government to look at IT as a priority sector. This is the most important message that emanates from the free Wi-Fi promise. The ITU, UN and other multilateral agencies working in the area of digital empowerment must take note of this. While the owner of the household is most concerned about getting the basic necessities – bijli and pani – the most essential requirement for the youth today is access to communication. There is an aspiration to connect with the rest of the world. Free Wi-Fi is a manifestation of that aspiration. The moment you think along this line, cost is no more the starting point of the discussion. Only cynics, as Oscar Wilde pointed out, could care more about cost. Unlike bijli and pani, free Wi-Fi is not a step backward that has to depend on subsidies; it’s a step forward as it is about building digital infrastructure and is in sync with Digital India plan, where access is an important objective. It may not be just a coincidence that no BJP senior leaders attacked the idea, while some may have questioned the ability of Delhi chief minister Arvind Kejriwal to implement it. What do you mean by free Wi-Fi in Delhi (or Kolkata)? Should it be in select public places? If yes, how much will it cover? Most of the cost estimates will depend on how you answer this question. Covering areas like Rajiv Chowk, Pragati Maidan or the metro stations is one thing; covering entire Delhi is another. Many cities such as Sao Paulo, Buenos Aires, Bangkok and Singapore have similar free Wi-Fi access. Even Bengaluru has it in a limited manner. What is more crucial, free or Wi-Fi? In a country like India, both good access and affordability are important. Depending upon time, place and users, the relative importance of the two can vary. It is important that this is kept in mind to make it economically viable. It does not have to be one-model-fits-all. Is Wi-Fi used as a representative word for wireless technology? A government plan should ideally be technology agnostic. Can we really keep it free? If we can provide a newspaper with a production cost of '30 at '2, why cannot we provide free Wi-Fi? But ads are just one way of providing subsidy. Other users (government services, such as CCTV cameras) can subsidise it too. And in certain cases, the government must spend. Again, it does not have to be one-size-fits-all. The happening areas will easily attract advertisers such as the telcos, while the government will need to spend only on the areas that really cannot afford it. If free and convenient access to the internet is the main objective, do we need to cover the entire city? Well, answer to this depends on answer to some of the above questions. In a park in Greater Kailash or Panchsheel Enclave in the capital, you may need Wi-Fi but not necessarily free; or the cost can be passed on to a local residents welfare association. But in places like Shakur Basti or Trilok Puri, free is arguably more important than access. If aspiration is what it is, then we cannot go by economic viability to begin with; we must connect these places, even if it is completely subsidised by the government. In short, the solution is not so elusive if we are willing to be flexible and do mix-and-match and are not in search of that one magic formula. Those who are criticising the building up of Wi-Fi infrastructure with government expenditure must compare it with free laptops schemes by different governments, like BJP’s promise in its 2009 manifesto. Government-provided devices open the floodgates for corruption. Not only inferior quality products are supplied, many of these do not even reach the intended targets; the user has no choice. On the other hand, the mobile phone is becoming more ubiquitous. Smartphones are steadily replacing normal-feature phones. If people use their phones to access the internet on Wi-Fi, why should the government bother about the access device? Do you expect the government to provide you with cars along with good roads? There are those who point to the failure – or false start – of municipal Wi-Fi plans in many US and European cities. While their observation is right, we must understand the basic difference in objectives. Most of these countries have a high wireless broadband penetration. So, public hotspots are just another means of connection for them; in India, for many, it will be the only way to access the internet. This clearly falls in the realm of governance, just as the US spends billions on healthcare. Access of the internet over public networks – free or at a cheap rate possibly subsidised by other users, advertisers or governments – is a powerful idea whose time has come. Now, don’t ask whether it should be 3G, 4G, WiMAX or LTE. The idea is about access. It is about the aspirations of a generation. It is about a burning need. It is not about the technical standards.